Do you dream of one day being free of your card debt? Maybe you take for granted that because you’re paying your credit cards on time each month that you’ll one day eventually have a zero balance on all of them. If you are doing the things listed below you may never pay off your credit cards. You’re Only Paying the Minimum: Making minimum payment on your credit cards is the slowest way to pay off your credit cards. You’re barely making any progress towards paying your credit cards. Do the math. Plug your credit card details into a credit card payoff calculator and see the results. If you a high balance, it will probably take you more than a decade to pay your card with minimum payments. Unfortunately, you’re probably making at least one other mistake that will compound the difficulty of paying off your credit cards. You’re Still Making Purchases: If you use up your available credit just as soon as your payment posts to your account, there’s a good chance you’ll always have a credit card balance. You’re stuck in a cycle of using your credit cards and unless you break it, you may never pay off your credit cards for good. 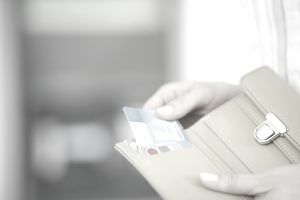 Your Credit Cards Are All Maxed Out: Maxed out credit cards are the hardest to pay off, especially if you’re only paying the minimum on your credit cards. Most of your payment likely goes toward your finance charges, which may be expensive if you’ve triggered the penalty rate by going over your credit limit or making a late payment. Multiple maxed out credit cards makes it less likely that you’ll be able to pay off your credit cards. You Don’t Know How Much You Owe: Problems don’t get fixed when you’re looking the other way. Problems get worse when you look the other way. Being ignorant of your card debt is a risky way to live. You can’t make good financial decisions if you’re not completely aware of your financial picture. Ignoring your credit card debt probably means that you’re making other mistakes that keep you in debt. You Spend More Than You Make Each Month: One of the fastest ways to get into credit card debt is to live above your means. Unfortunately, you’ll only be able to do this for a short period of time before your credit cards are all maxed. How can you possibly have extra money to pay off your credit cards if you’re continuously spending more money than you have? You can’t. While each of these things indicates that you may not ever pay off your debt, you can always change your behavior and change the outcome of your credit card debt picture. By increasing your payments above the minimum, stopping your credit card purchases, living within your means, and facing your debt, you’re the right track toward paying off your credit cards for good.